Even though only 8 of the Apostles remain, they are a sight to behold. 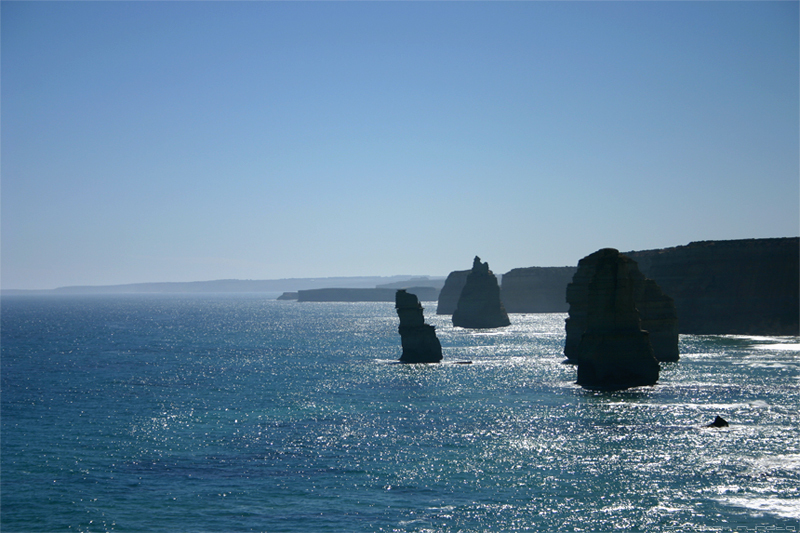 The 12 Apostles of Port Campbell National Park, Victoria, Australia. junkyard / electronic junkyard delhi / junkyard in singapore Some people are certainly very found of junkyards. valtines day photos Amit Agrawal managed to spell Valentine's wrong, the searcher managed to spell it wrong and Google obviously managed to unite them. nehru+place+software / websites of nehru place computer vendors / computer price in nehru place I would've recommended Computer Empire (Meghdoot Building / First Floor) except they're beginning to treat their customers like dirt. free dharma initiative wallpaper You see they have a secret hatch at Monash University. quotes on “all the best for your exams” / quotes on best of luck for your exams I seriously doubt there are any. shawshank redemption censored Censored? What's there to censor? byeeeeeeeeeeeeee pic How in the world did both manage to type exactly the same number of Es? how the pen be mighty than the sword / pen+is+the+mightiest If it vibrates ofcourse! singapore - anything about bavani Stalker alert! Website statistics are the best things ever! Yep, they are the best things ever!!! Thanks Nag. I couldn't keep you waiting forever now, could I? love the blue, green of the water.. beautiful .. So u actualy saw d blue heaven!!!!!! im......speechlesss----------------------------------! The gravtars don't seem to be working. Why not start blogging too? Probably see many more intersting keywords! My ICC 2007 Scorecard widget that I wrote about in my last post. The gravatars seem to be working just fine in my browser. Must be some problem with your account. Besides, its not a browser specific thing anyways. Ah well they are fine now. I actually thought maybe that gravatar was down (as in the server issues) or something. AWESOME AWESOME pic!! A hundred apologies for my late comment.. i didnt visit this pic till today.. The place seriously looks like heaven!! Love the blue!! love the misty look of the horizon the rocks..Breath taking... the pic itself looks amazing.. can't imagine the actual view... just Beautiful!! The picture gets its majestic feel due to its subject. 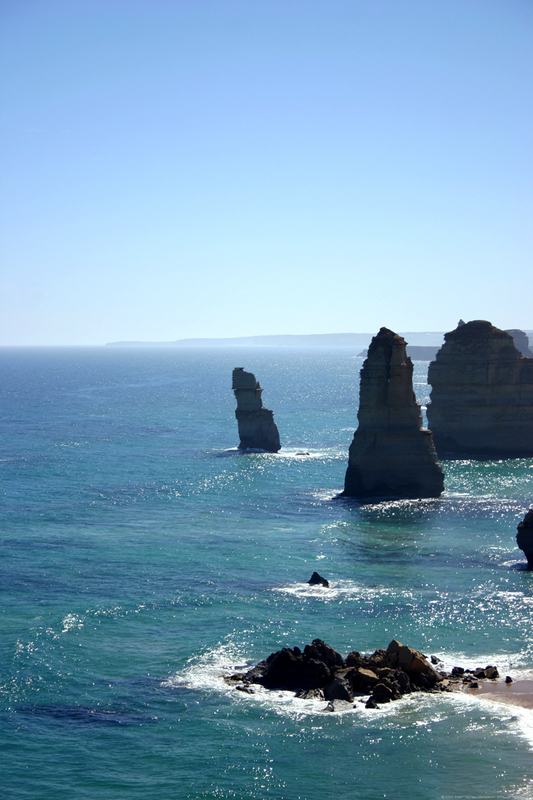 I owe it all to mother nature and the 12 Apostles. well, a nice one...but am too late to see this post!!! and abt the search keywords - "on me" - true? Unfortunately enough, it is - at least according to my web stats tool its true. You're right in that I have no idea who the person is, not even the IP address. I wouldn't worry about it too much actually. Why is the below pic not on flickr?? Would love the hi-res pic.. It will be, all in good time. “All in good time”… hmmm… i can almost picture you saying that with an evil/sly grin. All that consume consume is converting to something… ;)? ?